Rafael Nadal will begin his quest for an 11th Roland Garros title against Alexandr Dolgopolov, but all eyes in Paris will be on a loaded bottom half, which features Alexander Zverev, Dominic Thiem, Grigor Dimitrov, 2015 titlist Stan Wawrinka, Kei Nishikori and 2016 champion Novak Djokovic. In-form second seed Zverev, the winner of 16 of his past 18 matches (and an ATP World Tour Tour-leading 30-8 overall), will have to beat Lithuania’s Ricardas Berankis in his opener, with the prospect of a fourth-round clash against Wawrinka or Lucas Pouille. Thiem or Nishikori may then lie in wait for the recent BMW Open by FWU and Mutua Madrid Open champion in the quarter-finals. World No. 8 Thiem, who has reached back-to-back Roland Garros semi-finals (2016-17), faces a qualifier, but may play Nishikori in the fourth round. Rolex Monte-Carlo Masters finalist Nishikori faces French wild card Maxime Janvier in the first round, while former World No 3 Wawrinka, who was in action this week at the Banque Eric Sturdza Geneva Open, challenges Guillermo Garcia-Lopez of Spain. Former World No. 1 Djokovic, who is currently No. 22 in the ATP Rankings, starts against a qualifier, but could face fourth seed Dimitrov in the fourth round. The Serbian star, who underwent elbow surgery following the Australian Open in January, last week showed flashes of a return to peak form in losing to Nadal in the Rome semi-finals. Djokovic has a 59-12 record at the Paris major. Dimitrov, who is 16-10 in 2018 and has reached the Roland Garros third round on two previous occasions, starts against Viktor Troicki of Serbia. World No. 1 Nadal has a 7-2 FedEx ATP Head2Head record against his first-round Ukrainian opponent Dolgopolov and could potentially meet Canadian Denis Shapovalov or American Jack Sock in the fourth round, prior to a potential quarter-final against sixth seed Kevin Anderson – who opens against Paolo Lorenzi of Italy. Nadal has suffered just two losses in 81 matches at the clay-court Grand Slam championship – to Sweden’s Robin Soderling in the 2009 fourth round and to Djokovic in the 2015 quarter-finals. The Spanish superstar has a 19-1 clay-court record this year (23-2 overall), which includes 11th titles at both Monte-Carlo (d. Nishikori) and the Barcelona Open Banc Sabadell (d. Tsitsipas), in addition to an eighth crown at last week’s Internazionali BNL d’Italia (d. A. Zverev). World No. 4 Marin Cilic, who reached last year’s quarter-finals and is 18-8 in 2018, features in the second quarter of the draw alongside 2009 semi-finalist Juan Martin del Potro. Cilic, who advanced to his first clay-court ATP World Tour Masters 1000 semi-final last week in Rome, plays Australia’s James Duckworth and may face Fabio Fognini of Italy or Great Britain’s Kyle Edmund in the fourth round. Del Potro, who is recovering from a left leg injury, meets France’s Nicolas Mahut and could potentially meeting 2010 semi-finalist Tomas Berdych of the Czech Republic in the fourth round. Del Potro went on a 15-match winning streak earlier this year (23-6 overall), including titles at the Abierto Mexicano Telcel presentado por HSBC (d. Anderson) and his first ATP World Tour Masters 1000 crown at the BNP Paribas Open (d. Federer). The 2018 Roland Garros draw ceremony was held at L’Orangerie, located in the botanical gardens of the site, featuring Gabriella Papadakis and Guillaume Cizeron, three-time world figure skating champions (2015, 2016 and 2018) and winners of the silver medal at the 2018 Winter Olympics in Pyeong Chang. If you thought you could wait to get the popcorn cooking for Roland Garros, think again. There are plenty of intriguing matchups in the first round of the clay-court Grand Slam, and the ATP World Tour’s best are ready to put on a show on the Parisian terre battue. Any time that Nadal, who has triumphed at Roland Garros a record 10 times, steps foot on the terre battue, it’s must-watch material. But the fact that Dolgopolov has beaten Nadal twice before (2-7) in their FedEx ATP Head2Head series makes this worth your attention that much more. The Ukrainian, who climbed as high as No. 13 in the ATP Rankings, failed to win a set in the pair’s first five matches. But the shotmaking right-hander beat the Spaniard at Indian Wells in 2014 and the following year at Queen’s Club, and has the talent to take the racquet out of many players’ hands. So is Dolgopolov truly a threat to Nadal in the opening round in Paris? It is tough to make that declaration considering Nadal won 50 consecutive sets on clay, a record for most sets won in a row on a single surface, from 2017 Roland Garros through Madrid earlier this month. The Spaniard has won 39 of his 42 first-round sets in Paris, with two of those coming in a 2011 five-setter against John Isner. Nadal has conceded just more than nine games per match in his 13 opening-round wins. But the Ukrainian is one of the most aggressive players on the ATP World Tour, and will swing for winner after winner, for better or worse. But, if Nadal is able to neutralise the 29-year-old’s efforts and step into the baseline, as will likely be the case, expect the Spaniard to improve on his 79-2 record at Roland Garros. This is a battle of Americans that would be plenty entertaining even if it were to occur in a later round in Paris. But the second-ranked player from the United States, Querrey, will attempt to hold off #NextGenATP Tiafoe’s charge in their second FedEx ATP Head2Head series meeting. Tiafoe has proven to be in great form this year, sitting at No. 4 in the ATP Race To Milan. The 20-year-old entered the season having never reached a tour-level quarter-final. But he won his first ATP World Tour crown at the Delray Beach Open and advanced to the final at the Millennium Estoril Open. Querrey, on the other hand, is just two spots off of his career-best ATP Ranking (No. 11) and looking to make an impact in France. Querrey is at his best when dictating with his forehand at the first opportunity. And when the 30-year-old is able to do so, there are few players on the ATP World Tour who can stop him. But Tiafoe is one of the most athletic players on the circuit, and the #NextGenATP American will attempt to stave off the No. 12 seed’s aggressive play so he can take control himself. Look out for which player will make the most of their opportunities. When they played in Shanghai last October, Querrey saved nine of 10 break points en route to his victory. Tiafoe fell in five sets at Roland Garros last year. Will his newfound confidence allow him to break through on the terre battue? 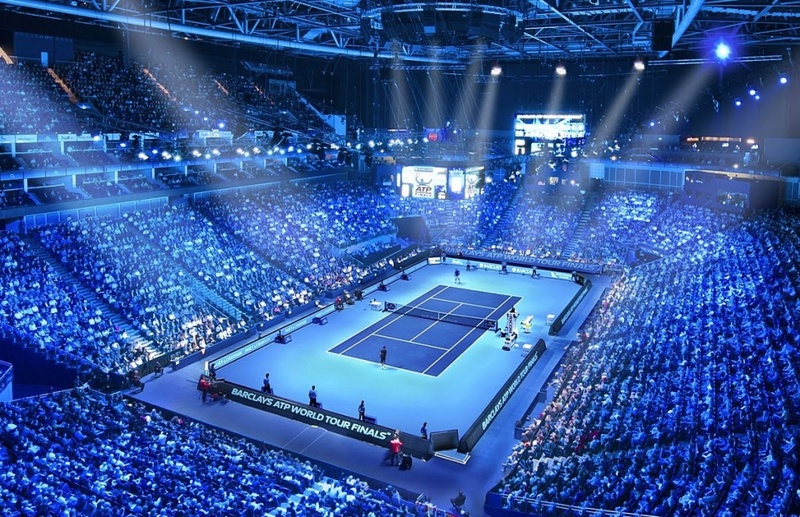 Few players began the 2018 ATP World Tour campaign as well as Edmund and De Minaur. The current British No. 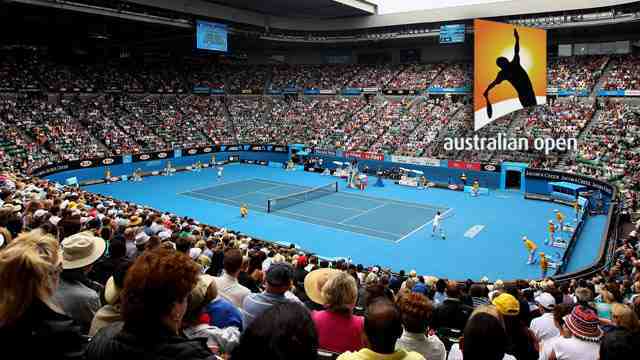 1 broke through to the Australian Open semi-finals, the best result of his career. Despite beginning the season outside the Top 200 of the ATP Rankings, #NextGenATP Aussie De Minaur battled to his first semi-final in Brisbane before advancing to his maiden ATP World Tour final in Sydney. By the way, the Aussie is just 19 years old. Yet, he has surged with the maturity of a veteran, climbing quickly to his current career-high of World No. 106. The pair began their FedEx ATP Head2Head rivalry earlier this year on Estoril’s clay, with Edmund moving on in straight sets. The key lay in the second-serve stats — Edmund won 54 per cent of points on his second delivery, while de Minaur claimed just 38 per cent of his. The Brit will look to attack with his massive forehand whenever possible, especially with more time to set up on the Parisian clay. But the question that will be answered in this match will be simple: Will the Aussie manage to hold off Edmund’s offence long enough to counter-attack? The duo’s most recent FedEx ATP Head2Head meeting was one of the wildest clashes on the ATP World Tour last season. In the Marrakech final, Kohlschreiber led by a break in both the second set and the third set, and even held five championship points to claim what would have been his eighth tour-level trophy. But instead, Coric stormed back to earn his maiden ATP World Tour title. Since then, the Croatian has qualified for the inaugural Next Gen ATP Finals, made the semi-finals at Indian Wells this year and followed that up with a quarter-final showing in Miami. So while Kohlschreiber is the No. 22 seed, Coric will make this a popcorn-worthy first-round match. It will be interesting to see which player will be able to hold his ground on the baseline. While Kohlschreiber stands 5’10” and Coric 6’1”, neither player shies away from being the aggressor in rallies. In fact, both have heavy forehands, and especially on the clay, they will look to keep one another deep in the court with heavy deliveries close to the baseline. Pouille-Medvedev is undoubtedly one of the first-round matchups to watch given their significant talents and success in 2018. Pouille triumphed in Montpellier before finishing runner-up in Marseille and Dubai. Medvedev followed up his 2017 Next Gen ATP Finals qualification by claiming his maiden ATP World Tour in Sydney. But Pouille has lost four of his past five matches and Medvedev has dropped four in a row, so both players will be at maximum focus in an attempt to get back on track. There will be a clear contrast of styles as home favourite Pouille looks to thrill the French fans and gain a 3-0 lead in the pair’s FedEx ATP Head2Head series. The No. 15 seed is a rhythmic offensive player, who will look to dictate from the baseline with his forehand and keep the match on his racquet. Ironically, Medvedev’s style is predicated on throwing off an opponent’s rhythm. The Russian typically strikes the ball later than most players, and generally hits relatively flat shots off both wings. Pouille won the pair’s most recent meeting last year in Shanghai 6-4, 6-2. But don’t be deceived by the score — Medvedev won just six fewer points in the match. World number 84 Nicolas Kicker has been found guilty of match-fixing offences. Argentine Kicker – who has won 10 singles titles on the ITF Tour – contrived the outcome of two matches at ATP Challenger tournaments in 2015. Kicker, 25, has also been found guilty of failing to report a “corrupt approach”. He cannot enter or compete in any professional tennis event as he awaits his sanction, which will be handed to him at a later date. Kicker achieved a career-high ranking of 78 in June 2017, and reached the third round of the Australian Open in January. He first committed a match-fixing offence at a tournament in Padova, Italy, in June 2015, before committing a second in Barranquilla, Colombia, three months later. Three-time champion Serena Williams will play Czech Kristyna Pliskova in the first round of the French Open. The 36-year-old American is playing her first Grand Slam since giving birth in September and is unseeded. British number one Johanna Konta faces Kazakhstan’s Yulia Putintseva, while Kyle Edmund – the leading British man as Andy Murray recovers from injury – meets young Australian Alex de Minaur. Ten-time winner Rafael Nadal opens against Ukraine’s Alexandr Dolgopolov. 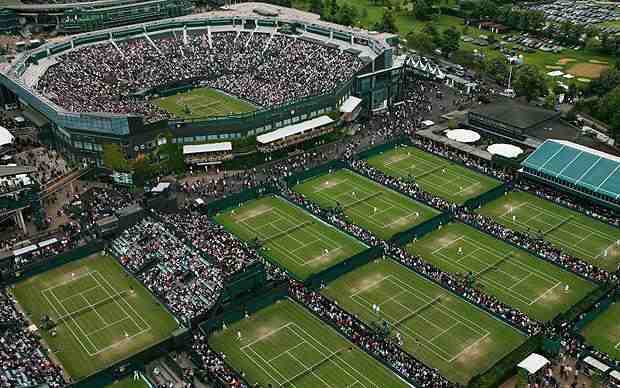 Two other British players are also in the singles draw at Roland Garros – Heather Watson will face France’s Oceane Dodin in the women’s and Cameron Norrie meets Germany’s Peter Gojowczyk in the men’s. 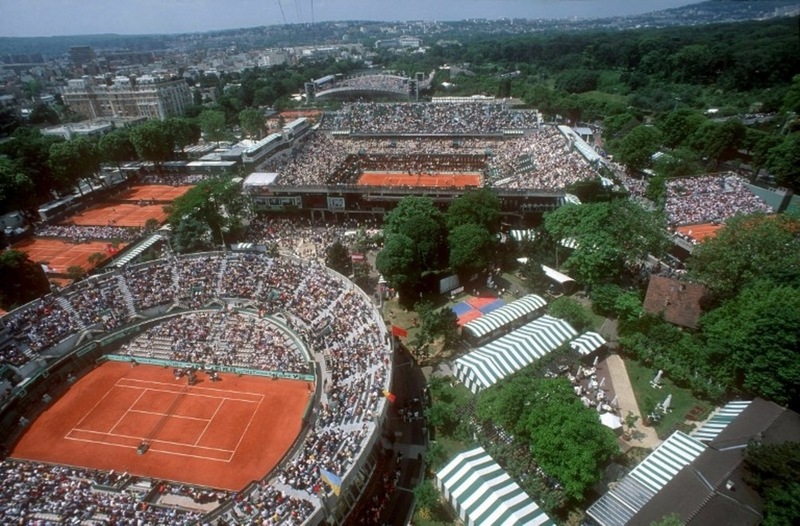 The clay-court tournament – the second Grand Slam of the year – starts in Paris on Sunday. Serena v Sharapova on the cards? Former world number one Williams has only played four tour matches since returning to the sport, dropping to 453rd in the rankings as a result. The 23-time Grand Slam champion is able to play at Roland Garros by using her protected ranking from when she stopped playing before her daughter Alexis was born. However, there is no protected seeding policy in place on the WTA Tour. The WTA says it will review the rules – which players including Williams’ rivals Maria Sharapova and current world number one Simona Halep have questioned – before 2019. But it means Williams will face Pliskova, ranked 70th in the world. 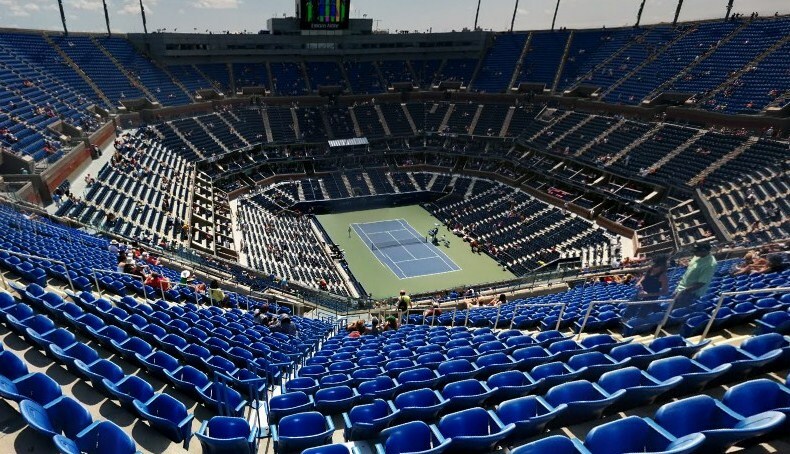 The American could then meet long-time rival Sharapova, who is seeded at a Slam for the first time since returning from a 15-month doping ban, or sixth seed Karolina Pliskova, the former world number one and sister of Kristyna, in the fourth round. Sharapova, who won the title in 2012 and 2014, and Karolina Pliskova both begin their campaigns against qualifiers. Who do the Britons face? Konta, 27, has never won a match in the Roland Garros main draw and the 22nd seed hopes to end that unwanted record against world number 93 Putintseva. The British number one has beaten Putintseva in both of their meetings – and both came on clay. British number two Watson has reached the second round on five occasions – without progressing any further – and comes into the tournament having ended a dismal run of eight straight defeats with a win in Lyon this week. The 26-year-old plays the tall Dodin, ranked 60 places below Watson at 133rd, for the first time. Edmund, 23, goes into his first Slam as the British number one on the back of a fabulous year that has seen him rise to 17th in the world. He has to get past 19-year-old wildcard De Minaur, who has risen rapidly up the ranks to 106th over the past year but was just short of automatic qualification at Roland Garros. Norrie, 22, has climbed to the verge of the top 100 to earn his place in the Roland Garros draw for the first time and is rewarded with a meeting against Gojowczyk. Former world number one Novak Djokovic is seeded 20th after struggling with an elbow injury in recent months and will play a qualifier in the first round. The 12-time Grand Slam champion was picked out in Grigor Dimitrov’s quarter of the draw and could face the Bulgarian fourth seed in the last 16. Belgium’s David Goffin or Australia’s Nick Kyrgios could lie beyond that for the Serb, while second seed Alexander Zverev is a potential semi-final opponent. The 21-year-old German, who has won clay-court titles in Munich and Madrid this year, faces Lithuania’s Ricardas Berankis in his opener. Alexander Zverev: A Grand Slam champion in the making? World number one Simona Halep starts her bid for a first Slam title against Alison Riske of the United States, while second seed Caroline Wozniacki – who lifted her first major by beating the Romanian in the Australian Open final – also faces an American in Danielle Collins. Spanish third seed Garbine Muguruza, who won at Roland Garros in 2016, meets another former champion in 2009 winner Svetlana Kuznetsova of Russia. Defending champion Jelena Ostapenko, seeded fifth, begins against Ukraine’s Kateryna Kozlova, with fourth seed Elina Svitolina – who won the Italian Open in Rome last week – meets Australia’s Ajla Tomljanovic. With only four matches under her belt in the past 16 months – and no clay court match practice whatsoever – Serena Williams will be vulnerable early on. But she will, I’m sure, be encouraged to see she cannot face a top-10 player before the fourth round. Rafael Nadal has won 79 of his 81 matches at Roland Garros, and it is striking that his principal rivals like Alex Zverev, Dominic Thiem and Novak Djokovic are all in the other half of the draw. The British players cannot grumble about their opening round draw. If Kyle Edmund makes the progress his seeding suggests, he is projected to face Marin Cilic in the fourth round. Britain’s Cameron Norrie claimed the biggest win of his career with victory over world number 10 John Isner in the quarter-finals of the Lyon Open. Norrie, 22, ranked 102 in the world, overcame the second seed 7-6 (7-1) 6-4 to reach his first ATP Tour semi-final. He will play Kazakhstan’s Mikhail Kukushkin or Frenchman Gilles Simon in the clay-court event’s last four. “I’m so stoked with my performance today,” said Norrie after his first win against a top 10 opponent. “In the past, I haven’t been so good at playing guys with big serves. Norrie had never played a professional match on red clay until he featured in the Davis Cup in February. His display in that match against Spain saw him secure a victory over Roberto Bautista Agut and prompted former Great Britain captain John Lloyd to call it “one of the most impressive debuts of all time”. Since then the left-hander has improved his world ranking and he will now move into the world’s top 100 at an expected 85. Norrie is yet to drop a set at the event, where top seed Dominic Thiem is the only seed left in the draw. The Austrian plays his quarter-final against Spaniard Guillermo Garcia Lopez on Thursday afternoon. For a couple of months now, Norrie has been hovering just outside the door to the world’s top 100. This week, he has opened it and burst through. What was so impressive about this win is that he saved all four break points he faced, and converted the one and only opportunity Isner afforded him. When the 6ft 10ins American is your opponent, you don’t know when the next chance may arise. Norrie only left Texas Christian University a year ago – suggesting he may return one day to complete his final year – and has had a remarkable start to his professional career. He reached the second round of last year’s US Open as a qualifier, and won his first ATP title when he partnered Kyle Edmund in the doubles in Estoril earlier this month. Great Britain’s Gabriella Taylor has failed to qualify for the French Open after defeat by Mariana Duque-Marino. The 20-year-old beat China’s Lu Jingjing in round one of qualifying but fell to a 6-4 6-4 defeat in round two. Taylor, the world number 184, gave up 27 unforced errors, six more than Colombia’s Duque-Marino. World number 113 Duque-Marino next faces Slovenia’s Dalila Jakupovic for a place in the women’s singles, which begin at Roland Garros on 27 May. Fabio Fognini celebrated his 31st birthday with a quarter-final victory on Thursday at the Banque Eric Sturdza Geneva Open. The second-seeded Italian recovered from a 2-5 deficit in the first set en route to beating American Tennys Sandgren 7-6(3), 7-6(5) in just under two hours. This year’s Argentina Open champion (d. Jarry) led 3-0 in the second set and had the first of his four match-point opportunities at 6-5, Ad-Out, on Sandgren’s serve. Fognini will next attempt to beat Germany’s Peter Gojowczyk, who defeated seventh seed Andreas Seppi of Italy 6-3, 6-7(3), 6-3. American Steve Johnson got the better of another player contesting two singles matches on Thursday, Guido Pella, 6-3, 6-4 for a place in the semi-finals. He will next play third seed and two-time defending champion Stan Wawrinka or Hungary’s Marton Fucsovics on Friday. Earlier in the day, World No. 81 Pella beat top seed Sam Querrey 7-5, 6-7(6), 7-6(4) in two hours and 33 minutes, while Johnson defeated qualifier Lukas Rosol of the Czech Republic 6-4, 4-6, 6-3 in just under two hours. Pella had also beaten Querrey in a third set tie-break last month in the Fayez Sarofim & Co. U.S. Men’s Clay Court Championship second round. Fabio Fognini, who fell to Rafael Nadal in last week’s Internazionali BNL d’Italia quarter-finals, is six spots off his career-high of No. 13 in the ATP Rankings (31 March 2013). Cameron Norrie showed few signs of nerves on Thursday at the Open Parc Auvergne-Rhône-Alpes Lyon when he recorded the first Top 10 win of his career. The Briton, who will break into the Top 100 of the ATP Rankings on Monday, saved all four break points he faced to defeat World No. 10 John Isner, the second seed this week, 7-6(1), 6-4 in 85 minutes. Isner, who lost his serve once in the first game of the second set, struck 10 aces. The 33-year-old American captured his first ATP World Tour Masters 1000 crown at the Miami Open presented by Itau (d. A. Zverev) on 1 April. Norrie, 22, will next play France’s Gilles Simon in his first ATP World Tour semi-final. Simon required two hours and 37 minutes to beat Mikhail Kukushkin of Kazakhstan 4-6, 6-4, 7-6(5). Dominic Thiem’s quarter-final against Spain’s Guillermo Garcia-Lopez was suspended because of darkness tied one-set all. Garcia-Lopez took the first set 7-6(4), but Thiem ran away with the second-set tie-break, 7-6(0). Thiem is playing in his fifth quarter-final of the season (Rio de Janeiro, Acapulco, Monte-Carlo and Barcelona). The winner of Thiem vs. Garcia-Lopez will meet Serbian Dusan Lajovic, who hit seven aces and won 80 per cent of his second-serve points (12/15) during a 7-5, 6-1 victory against #NextGenATP American Taylor Fritz. Cameron Norrie, the British No. 3, had not played a clay-court match until February 2018.